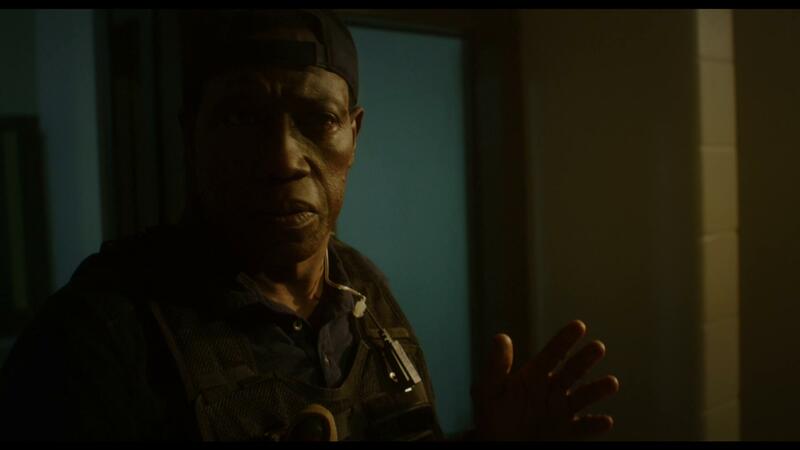 Armed Response - Blu-ray Review - ReDVDit! 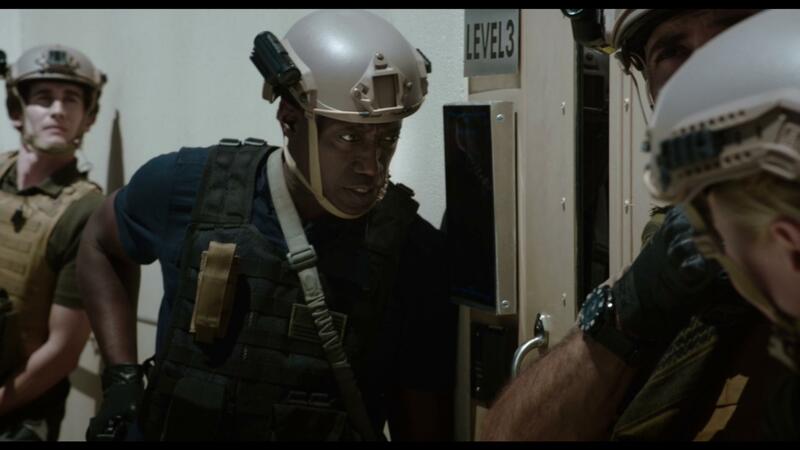 Armed Response is a 2017 action horror film that features Wesley Snipes, Anne Heche, David Annable, and Seth Rollins. The film was produced by Erebus Pictures, and is a collaboration between WWE Studios and Gene Simmons. 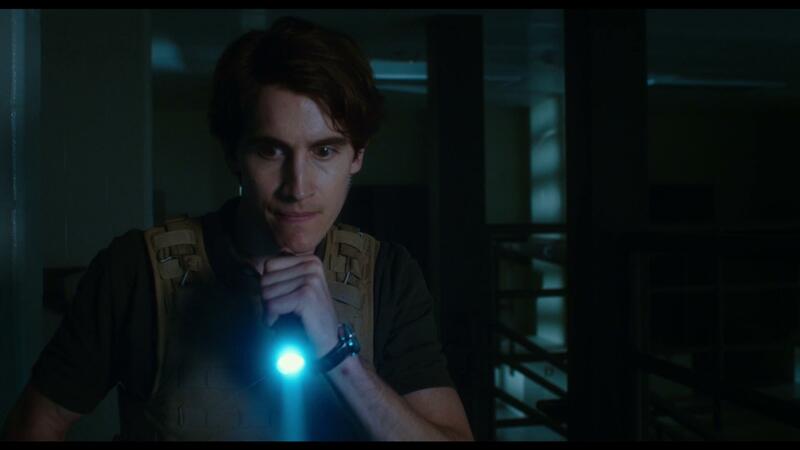 Starting off with a brief prologue in which a group of anonymous grunts are slaughtered by an off-screen assailant while stationed at a military compound that is run by advanced artificial intelligence that can flawlessly interrogate prisoners, Special Forces soldier Isaac recruits the systems designer, Gabriel, to join him on a mission to see why the base has suddenly shut down. He finds Gabriel grieving from the tragic loss of his daughter, which serves as a random bit of character background that doesn’t really factor into the subsequent proceedings. It is later discovered that in this considerably dark complex, that there lie the corpses of their comrades as well as an Afghanistan general who is on the FBI’s most wanted list. 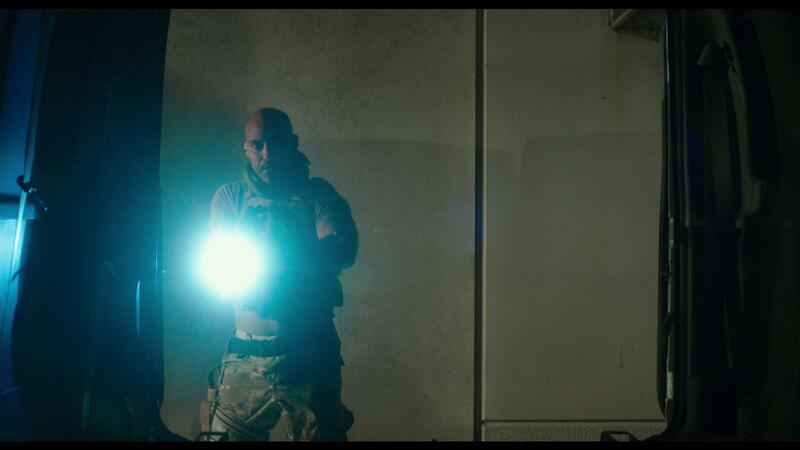 Heavily criticized by its reviewers, Armed Response overall has received negative reviews as a result of its lack of consistency within the story as well as its lack of direction. Despite having what some have said to be a decent amount of gunplay, according to the review aggregator Rotten Tomatoes, the characters are considerably under-drawn and there is a significant lack of pacing. In fact, one of the more common trends that I saw in checking out other previews views on this film, they all seemingly indicate that Snipes looked rather bored during this film, and that despite the compelling possibilities that a film with this particular story presents, you could tell that Snipes unfortunately regretted his time in working on this film. After perusing through some of the earlier reviews of Armed Response, I really didn’t have much hope with this film. Reading through what other people thought made this film out to be some sort of absolutely horrendous experience. However, this movie seemingly started off really strong. Offering a pretty solid premise right of of the door, I couldn’t look away as it began. The notation at the beginning regarding Gabriel and his grieving from the loss of his daughter actually not only plays a part in his background story, but it also helps set the stage for his current mental state as he and his team are working through the Temple and they work together to figure out what is going on. There was a decent amount of gun play that I found to be rather enjoyable, however the pacing of the film wasn’t all that great. Considering it’s labeled as an action horror film, there was minimal action or horror throughout the movie; and my biggest complaint about this film would definitely go toward the ending (sorry, I’m not going to spoil it for those of you who may pick this up). Despite having an overwhelming feeling of being a smaller budget film, Armed Response looked absolutely beautiful as it played out across my living room television. Every scene, indoor and outdoor really sparkled with clarity, I had absolutely no issues in visually seeing and understanding everything that was going on. Featuring some of the more breathtaking outdoor scenery, I was really impressed by this release. 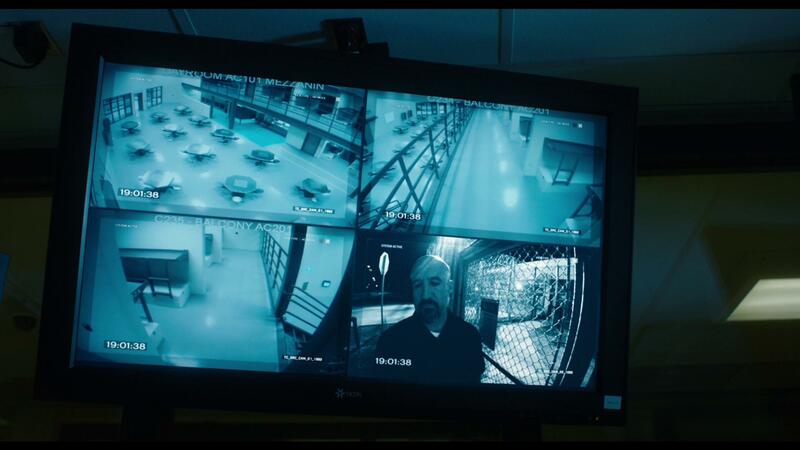 With the indoor scenes that feature lower levels of lighting, there was just enough ambient lighting that allowed for an ease in seeing what was happening without having to strain your eyes with added focus. 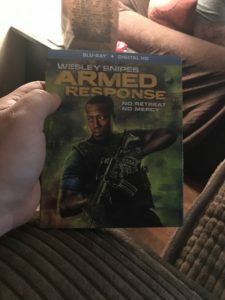 Armed Response comes bundled with a DTS-HD Master Audio 5.1 sound track, this film sounded really great as it played out over my home theater system. Providing some really nice immersion for those who are capable, it did a beautiful job at landing the audience right in the middle of all of the action. Aspects ranging from the indoors and outdoors, I couldn’t help but feel as if Wesley Snipes was right there at my side. Packaged in your standard single-disc Blu-ray amaray case, Armed Response comes bundled with the Standard Blu-ray copy of the film. 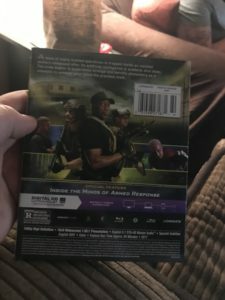 There is no DVD copy included, however there is a digital copy redemption pamphlet that allows consumers to add the film to their digital library for on the go streaming. The Blu-ray disc does not feature any artwork outside of the standard text that is used to help customers differentiate the disc from the others in their collections. A slipcover has been made available with this film during its initial release that features artwork that matches that of the amaray case art. 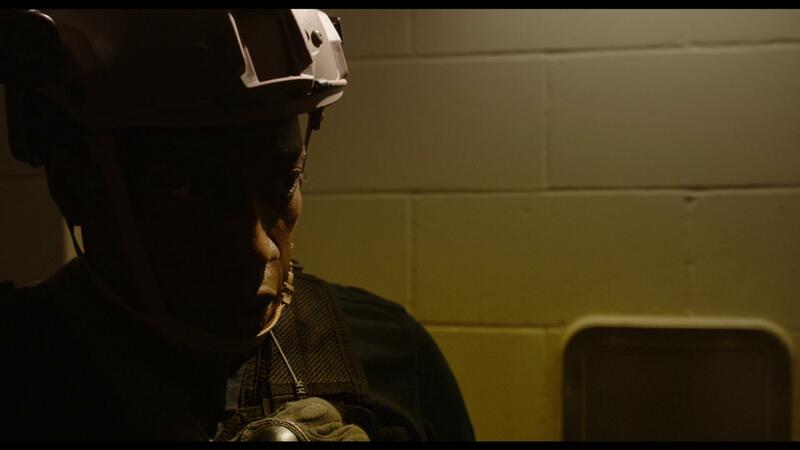 Overall, I am beyond grateful that the folks from Lionsgate Films gave us the opportunity to review Armed Response. It was really great to see that Wesley Snipes is getting back into film; however, this film seemed to have done some damage to his once great reputation. He wasn’t very action-esque like he’s known for in his previous pieces of work, but I’m hopeful that this will lead to more opportunities for him. The film wasn’t the greatest. It did start off strong with a very promising premise, however that premise fell flat on its face as the film reached approximately 40% through. The overall audio and visual presentation of the Blu-ray release was really well done. However, there should have been more bonus content made available for this film to supplement the wreck of an ending that we had with this movie. I would only recommend picking this film up at release if you are someone who is collecting the works of Snipes, otherwise, wait for it to go on sale.